Young children just love things that go, and here is a book they will spend hours pushing along the floor, as well as reading! 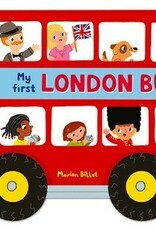 Follow the red bus around the streets of London visiting the sights, with an extra detail to spot on every page. Then close the book and push it along on its four moving wheels and go on your own journey! 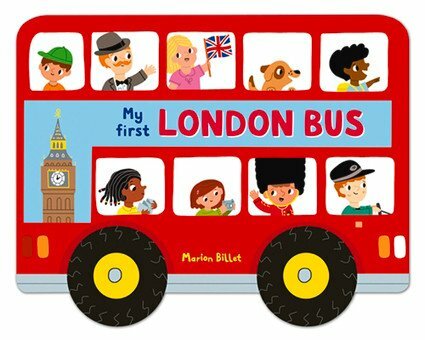 The perfect way for young visitors to London to remember their trip.